​​When looking at a debate between two premier athletes, you always have to look at the awards. 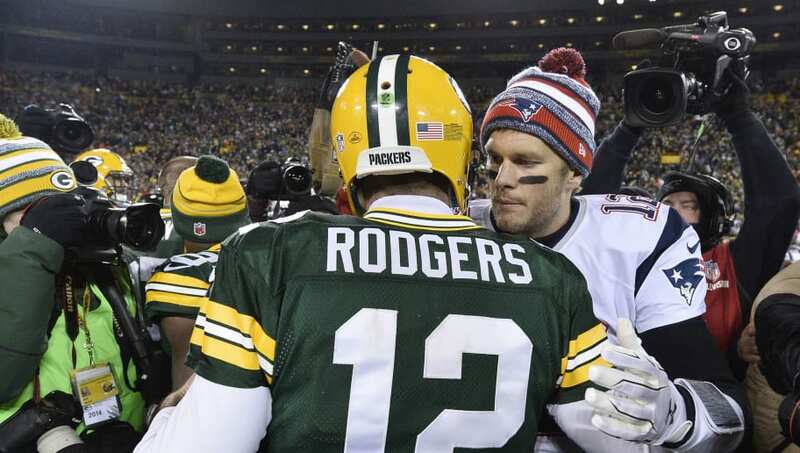 Well, Brady has five Super Bowl championships (four MVPs), compared to Rodgers' one (one MVP). In regards to regular season MVP trophies, Brady has three, which beats Rodgers' two. Even Rodgers said this debate is best left until both are retired from the league. The Packers signal caller even mentioned Brady's Lombardi Trophies, ​saying that fact alone ends those discussions. Yes, Rodgers has one of the best arms in the NFL, as admitted by Brady, but it's the overall results he's had with Green Bay that really hinders his case. Rodgers appeared in just one Super Bowl (compared to Brady's eight), where he could have had three visits in his career. However, the Packers blew it in the 2015 NFC Championship Game against the Seattle Seahawks, and were decimated by the Atlanta Falcons in 2017. ​Those performances are a stain on Rodgers' legacy, as you never know if those could have been the seasons where he added more championship to his resume. While Brady's career is heading towards the home stretch and Rodgers has plenty more left in the tank to catch up, we simply can't have this debate right now. Brady has six seasons on Rodgers, so you can't really compare the season statistics between the both, as it's too wide of a gap. No need to add Michael Jordan to hype promos. Currently, right now, Brady is better than Rodgers. End the debate, and let's return to it in ten years.